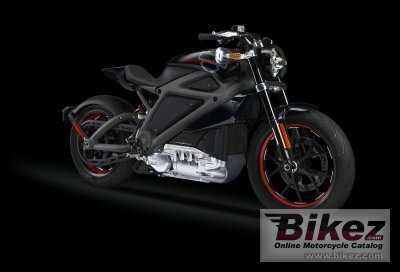 2016 Harley-Davidson Project LiveWire. Picture credits - Harley-Davidson. Submit more pictures. We�re inviting customers to ride the motorcycle and tell us what they think. Even those who don�t ride yet can take a ride on Jumpstart� Demo, a simulated riding experience that doesn�t require any experience or a motorcycle license. Comments: Lithium ion battery. Full charge in 3.5 hours from a 220-volt charging port. Range 53 miles. Ask questions Join the 16 Harley-Davidson Project LiveWire discussion group or the general Harley-Davidson discussion group. Bikez has reestablished Bikez.info motorcycle web shop overview. Here we present the major online shopping possibilities for motorcycle parts, gear and accessories. This includes customizing and insurance. Search and compare products and prices. Try our 2016 Harley-Davidson Project LiveWire discussion forum if you have questions or comments. Information about any technical issue is always welcome.